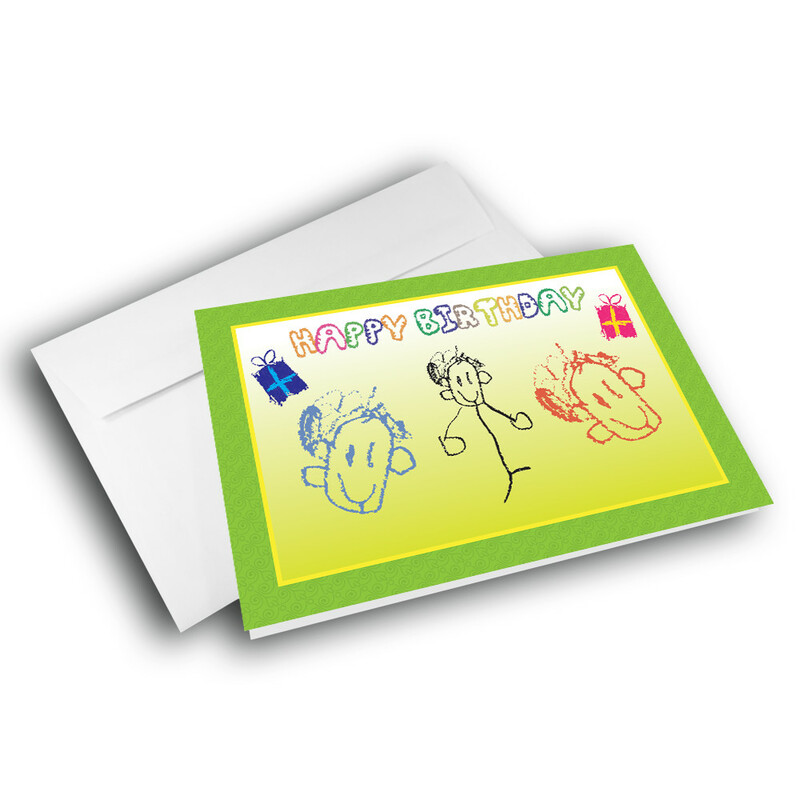 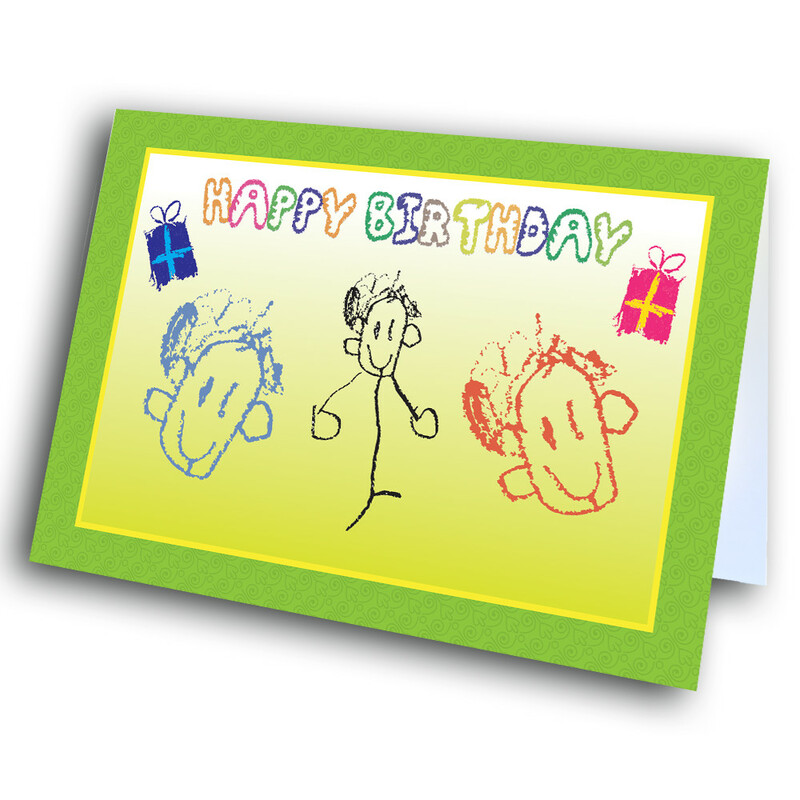 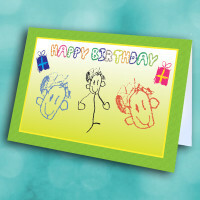 Share some birthday greetings with this endearing, child's artwork birthday card. This sweet card, based on child's artwork, is a memorable way to share some birthday wishes. 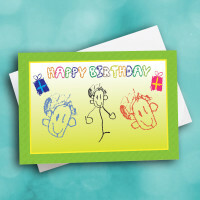 The front is decorated with happy stickmen, smiling underneath a colorful greeting. 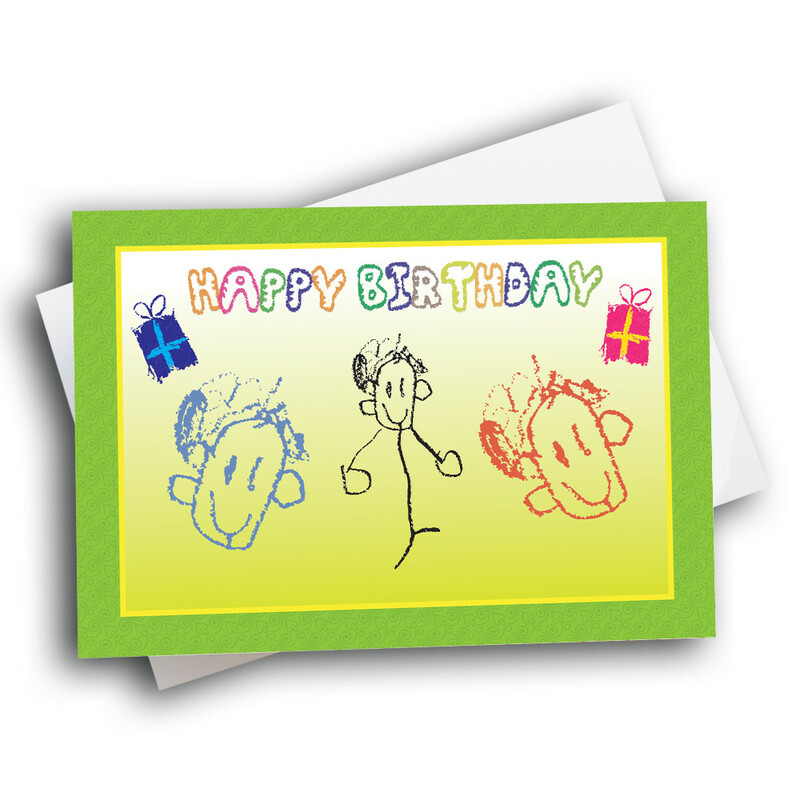 The scene is bordered by a bright-green pattern. 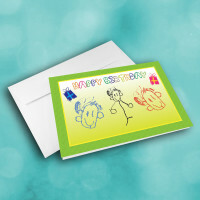 Add a personalized message inside to give the card your own custom touch.